Rever is the product of the Driade collection designed for young people by Ludovica +Roberto Palomba. 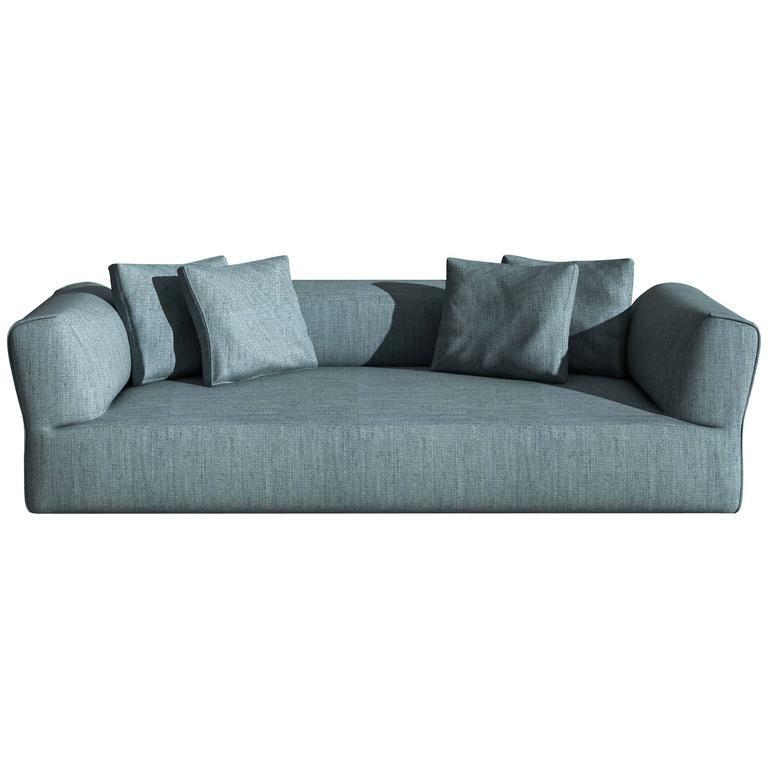 The sofa is made in a wooden frame with elastic belting and padding in polyurethane foams with different densities with a removable cover in fabric or fixed in leather. 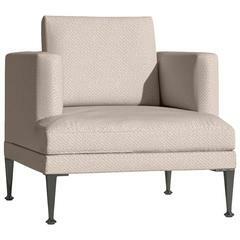 Rever features plump, generous curves and proportions. 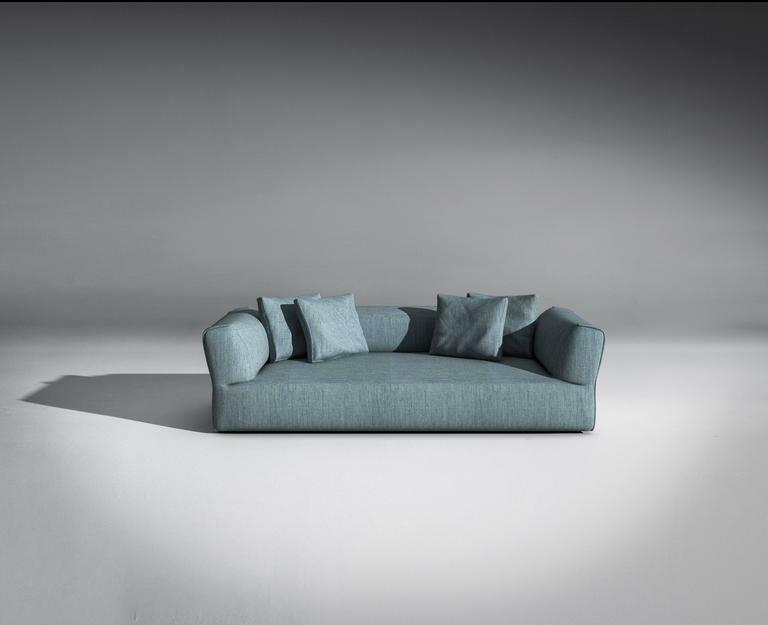 The original way the armrests are fitted a fundamental feature of this sofa – is paired with special attention to detail: the slightly padded edge looks as if it comes from a fashion house because it is inspired by the lapel of jackets and the flap of pockets. 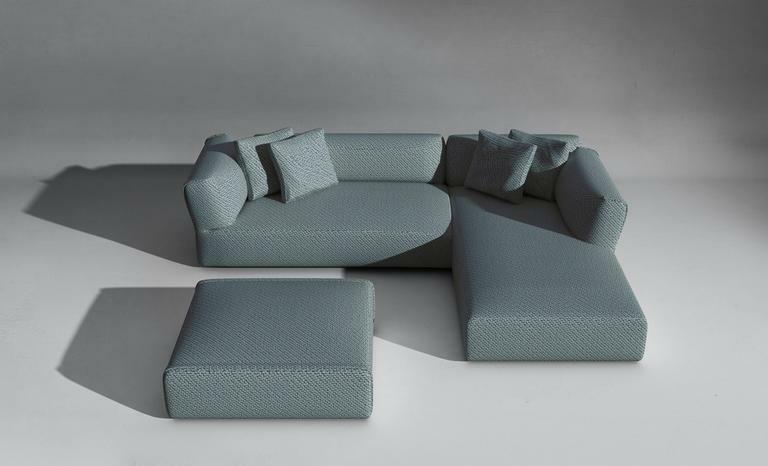 It is perceived as a shape which, thanks to the softly rounded forms of the padding, can be put together to create dynamic and extremely comfortable modular arrangements. 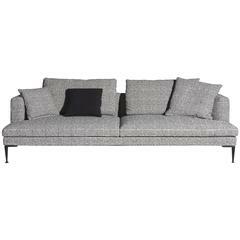 Rever is an extremely versatile sofa. 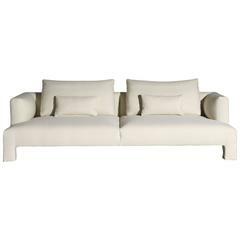 The large day beds and the comfortable poufs make it perfect for moments of enjoyable togetherness and play. Ludovica+Roberto Palomba, architects and designers founded Palomba Serafini Associati in 1994. Since 2003, Roberto Palomba has also been a professor at the Polytechnic of Milan, Industrial Design Department. In recent years he has participated in many design workshops as a visiting professor or senior tutor. Aplomb Serafini Associati deals primarily with architecture, interiors, industrial design, exhibit design, graphic design, art direction, communication and media strategies, marketing consulting. Ludovica+Roberto Palomba are actually working as art director for: Ceramica Sant’Agostino, Elmar, Kos, Zucche] and developing projects of design management for Tubes and Zucchetti. They worked as art director for Bosa, Flaminia, Iris, Schiffini. Palomba Serafini Associati developed an art direction project for the new brand image Technogym. Palomba Serafini Associati is developing several projects of interior design and architecture all over the world. 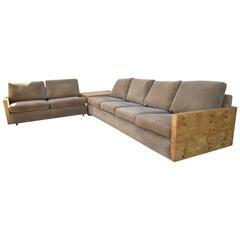 Sectional sofas. 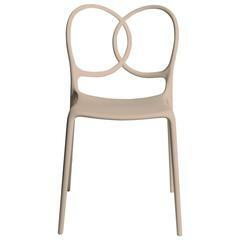 Wooden frame with elastic belting and padding in polyurethane foams with different densities. Removable cover in fabric or fixed in leather.